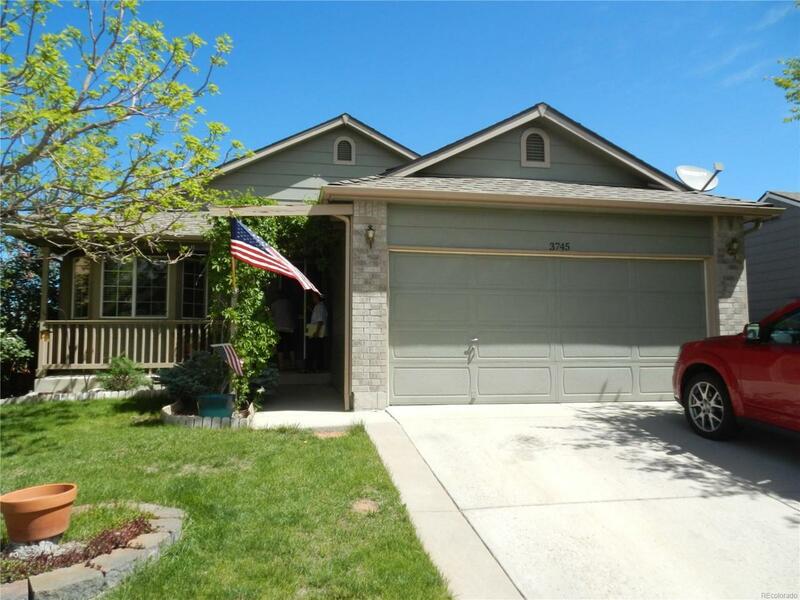 Light, bright, contemporary 4 bedroom ranch with 2 full and a 3/4 bath and a finished basement. Vaulted entry, kitchen, eating nook , living room, dining room and master bedroom. Gleaming hardwood floors greet you at the entry and continue into the great room, with new carpet and a three sided gas fireplace & throughout the kitchen, dining room and breakfast nook with bay window. The kitchen features stainless appliances & pull-out shelves in the base cabinets. The main floor study w/hardwood floors, closet and French doors can be a third bedroom on the main level! The main floor bath is next to the laundry. The master has new carpet and a large walk-in closet with a 3/4 bath and tile floor. In the basement there is a 4th bedroom w/egress window, large family room, full bath w/jetted tub and tile floor as well as a 9 X 12 laundry room. Outside you will find a private fenced yard w/12 x 24 foot patio, an 8 x 10 storage shed and a sprinkler system in the front and rear yards.